With the recent flurry of very festive weather, thatched cottages up and down the UK are looking even more chocolate box perfect than usual and no doubt bringing their owners even more joy at this time of year. 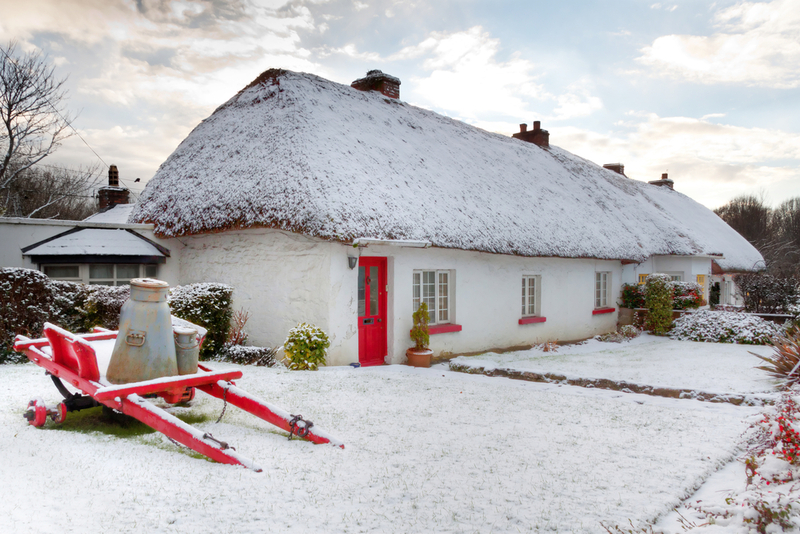 Thatched cottage insurance should be the last thing on your mind when you’re snuggled up cosy and warm by the log burner, Christmas lights gently twinkling in the background. These are the three main concerns for any potential buyers considering a thatched cottage. Fire risk is very real for every property, especially during the winter with so many fires and candles burning. With so much flammable material in a thatched roof it’s understandable and prudent for thatch owners to be cautious. However many thatched cottage homeowners report that aside from being extra vigilant with regards to keeping their chimneys swept, any additional fire risk has little to no impact on their lives comparable with living in a non-thatched property. Similarly, as long as you use a specialist broker for your thatched cottage insurance, insurance is no more or less of a headache that when living in any other type of property. Maintenance costs are a consideration and are a price to pay for the many benefits of living in a picture perfect home. On average a thatched roof will need replacing every 25 years, with the ridges being res-stitched every 10 years. Certain types of thatch can last longer, Norfolk Reed for example lasting on average for up to 40 years, although naturally this is considerably more expensive to install. On the plus side, providing your thatch is well maintained, thatched cottages retain their value remarkably well, which is not surprising given their undeniable appeal and economic and ecological advantages. At Highworth Insurance we specialise in thatched cottage insurance, with extensive experience in this area and a wealth of knowledge on the subject. You can discuss any aspect of thatched cottage insurance with our Account Managers by calling 01202 937430 Monday to Friday between 9am and 6:30pm and on Saturdays between 9am and 12:30pm.